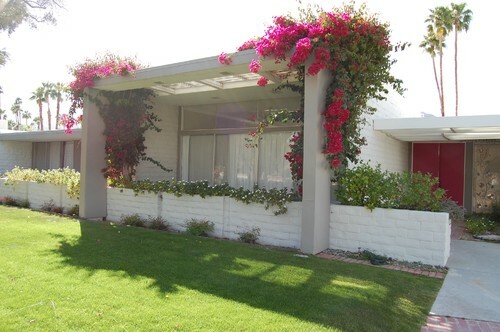 BEFORE: To revive a rare 1963 William Krisel custom-designed home that had fallen into disrepair, Sean Lockyer, principal of Studio AR+D Architects, stripped away a heavy, overgrown landscape, as well as layers of interior finishes that had been added over the years. The walls of the renovated master bedroom open up to the pool, highlighting the home’s clean lines and deep roof overhang. 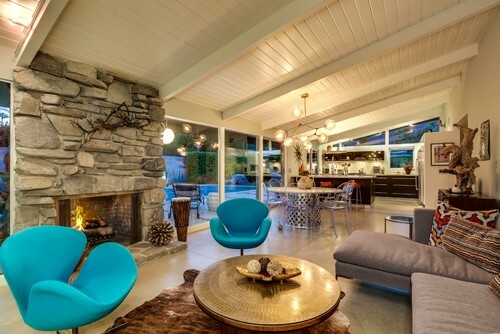 See More Beautiful Midcentury Modern Designs. 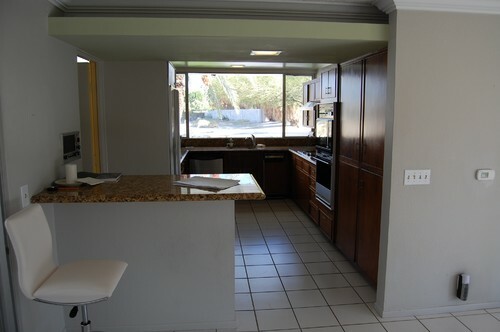 BEFORE: The original kitchen was small, enclosed and dark. AFTER: Throughout the remodel, the goal was to honor the home’s original design while updating it for contemporary living. 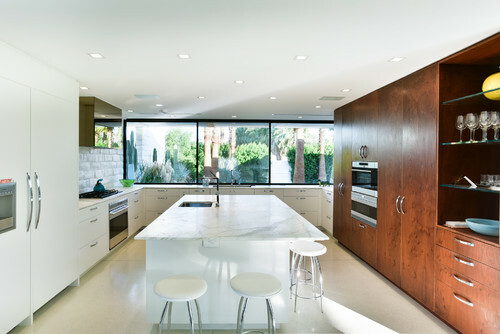 The renovated kitchen blends a midcentury aesthetic — the Claro walnut cabinetry and vintage bar stools — with a 21st-century sensibility in the form of an oversize marble-top island, high-end appliances and expansive windows that welcome in plenty of natural light. 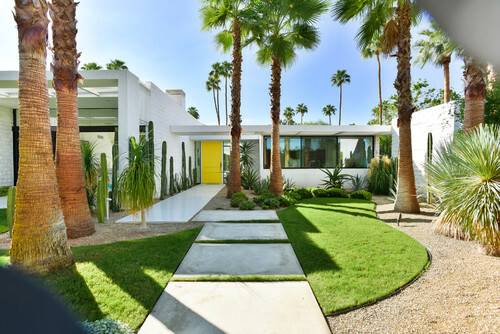 BEFORE: Los Angeles architect Duane Smith hoped to gain a second income by renovating and renting out a home in Palm Springs. 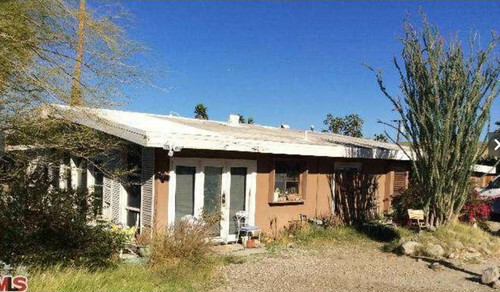 When he first saw this neglected 1954 house, he knew it had potential, but first he had to deal with its dry rot, smells and newspaper-lined floors. AFTER: Instead of renting it out, the house became the full-time home for Smith and his husband, Stefane Barbeau. “We fell so in love with the area that when we were done, we decided to move there full time,” Smith says. 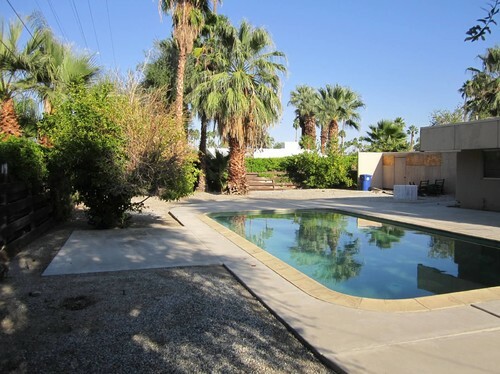 The midcentury home now boasts double the square footage and amazing views of the surrounding San Jacinto Mountains. 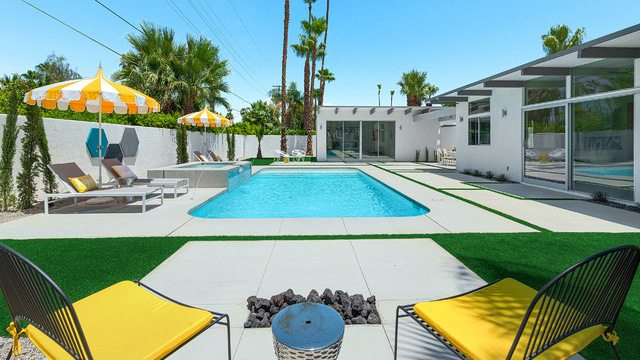 In the backyard, the newly built cast concrete pool with a black gemstone finish completes the dreamy Palm Springs retreat. Existing boulders give poolside guests a place to prop up against or stretch out on. Find the Best Pool Construction Companies Near You to Get Started. Inside, natural light streams through the rooms as strategically placed windows create dramatic effects. Original concrete floors and Douglas fir ceilings anchor the home, with accent pieces, like the baby head sculptures from Bangkok and the charcoal gray fireplace, punctuating the spaces. 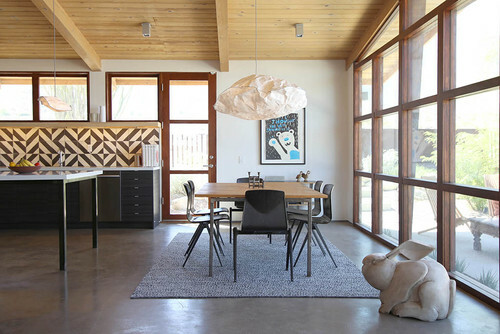 The homeowners designed the ceiling light fixture in the dining area, just off the kitchen and living room, which stands out like a floating sculpture in the clean-lined space. The kitchen’s patterned cement tile backsplash pokes into the edge of this photo, revealing another one of the bold accents scattered throughout the home. 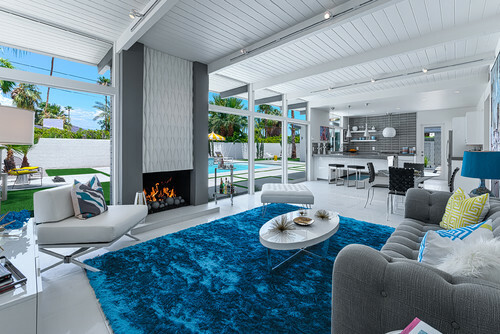 BEFORE: When it came to remodeling the front of this William Krisel home in the Twin Palms neighborhood, homeowner and builder Avian Rogers wanted to bring more natural light into the house, which steel grating and a block wall prevented. 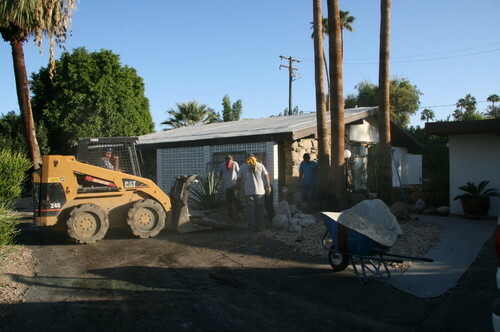 In addition, she wanted to remove the circular blacktop driveway. AFTER: An entry courtyard replaced the blacktop driveway, and a burnished block wall adds privacy. 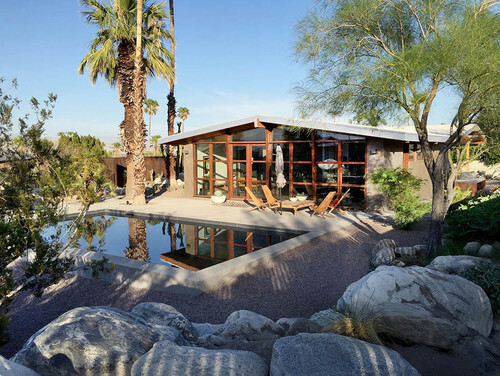 “I wanted to create a soulful, primal kind of vibe that was true to its classic design, and embraces the surrounding desert and the San Jacinto Mountains,” Rogers says. 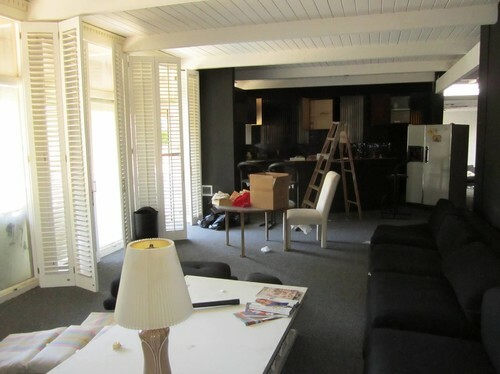 She opened up the living and dining areas by removing a wall between them. The home’s original inside-outside stacked-stone chimney brings texture to the space. In the bedroom, a mixture of new and vintage furniture pieces creates an eclectic look with a hint of color. Wallpaper depicting a desert scene runs through the house, connecting the bedroom and living room spaces. In the backyard, a new patio and cover extend off the home, drawing the party outside. At the corner of the yard, a steel sculpture that had once sat at a now-shuttered Palm Springs restaurant beckons guests to the back of the space.